I'll see your ketchup maker and raise you a power company. Warren Buffett is betting on Nevada. MidAmerican Energy, the energy subsidiary of Buffett's Berkshire Hathaway (BRKA), announced plans Wednesday to buy NV Energy (NVE), which provides electricity and natural gas to roughly 1.3 million customers in Nevada. MidAmerican has agreed to acquire NV Energy for roughly $5.6 billion in cash, or $23.75 a share, a 23% premium to Wednesday's closing price of 19.28. Including debt, the deal is worth roughly $10 billion. "This is a great fit for Berkshire Hathaway, and we are pleased to make a long-term investment in Nevada's economy," Buffett said in a statement. "Through MidAmerican, we have found in NV Energy a great company with similar values, outstanding assets, and a superb management team." Nevada was hammered by the housing crisis, with plunging home prices, rampant foreclosures and unemployment that eventually soared above 14%. The state appears on the mend, with home prices in Las Vegas rising 20.6% in the first quarter versus a year prior, but the current unemployment rate of 9.6% remains the worst in the country. NV Energy will operate as a subsidiary of MidAmerican, retaining its current name and headquarters in Las Vegas. The companies expect to close the deal in the first quarter of 2014. 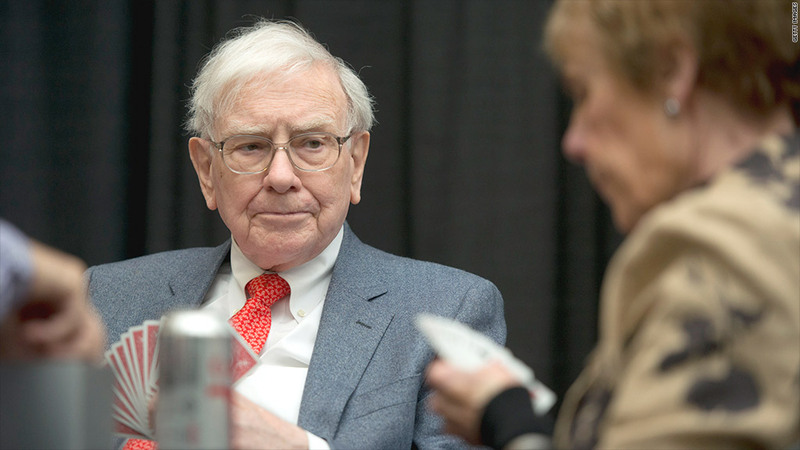 Berkshire owns a wide variety of companies, including fast-food chain Dairy Queen, insurer GEICO and the railroad company Burlington Northern Santa Fe. Earlier this year, Berkshire was part of a consortium along with private equity firm 3G Capital that purchased ketchup maker H.J. Heinz Co for $28 billion. With the acquisition of NV Energy, MidAmerican will have roughly $66 billion in assets, with its utilities serving 8.4 million customers.